One of the veterans at Babycell, Mr. Choudhury looks into the Operational and Marketing affairs of the company. 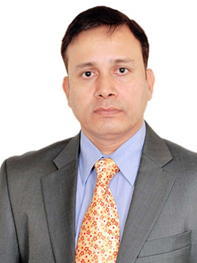 Mr Choudhury has over 20 years of experience and has played diverse roles in research based Pharma MNC’s guiding performance in areas of Sales, Operations, Marketing, Strategy Development and Training. Extremely passionate about regenerative medicine, Mr. Choudhury strongly believes in shaping the future of Indian healthcare for the benefit of public at large.